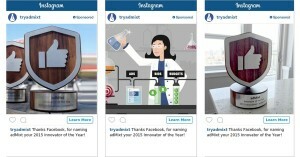 We are excited to announce our support for Instagram advertising! Our solution for Instagram enables marketers to reach more than 300 million monthly active mobile consumers. We are among a select few Facebook Marketing Partners granted access to the Instagram Ads API. 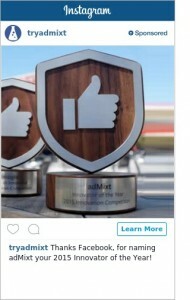 Visit adMixt.com for more information on our support of Instagram advertising.